Convert DocX to XHTML in batch with Coolutils. You are here: CoolUtils > Total Doc Converter > Convert DocX to XHTML in batch with Coolutils. Documents in DocX are not suitable for publishing online. If you want to turn your DocX files into web pages, you should convert them to xHTML. This is the newest web page format that supports all modern features. 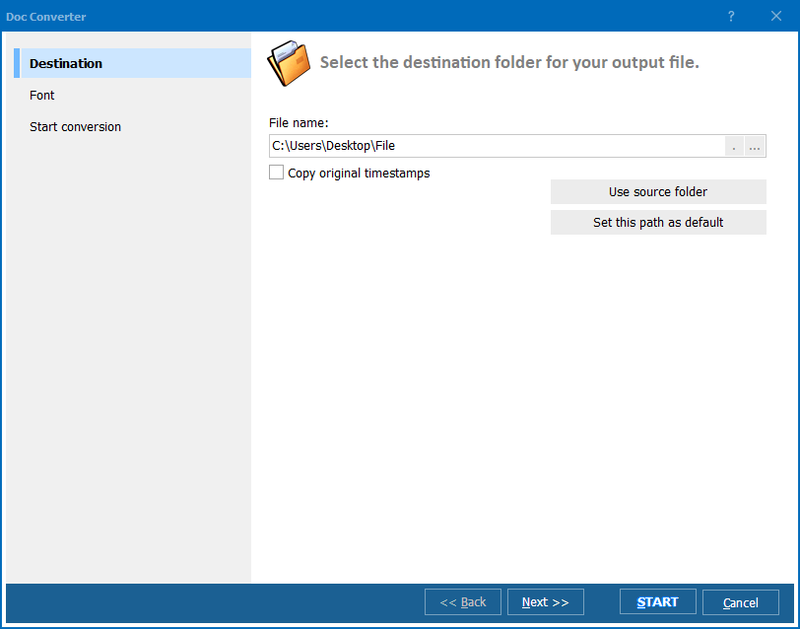 Total Doc Converter supports both formats and converts one to another in batch. Batch conversion of DocX to xHTML is the quickest way of processing big number of files. Without automatic converter it will take you hours or even days to code all texts into xHTML. Even having a common converting tool, you will spend a lot of time on converting each file. 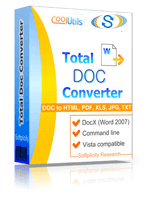 Total Doc Converter cuts down the whole process to a one minute task. It's also possible to set the title for future xHTML copies that will be coded in proper HTML tag. 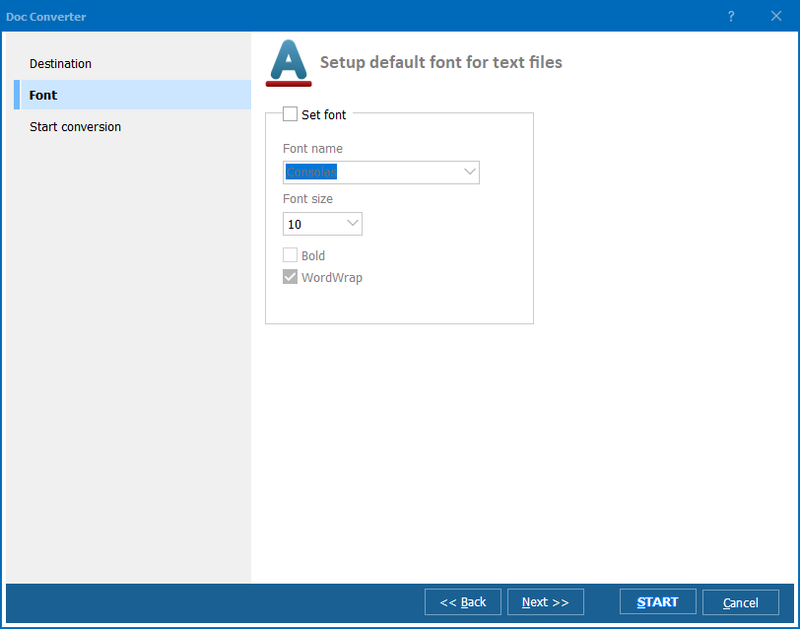 After you convert DocX to xHTML in batch using this program, no formatting or recoding is required. This makes Total Doc Converter a perfect fit for inexperienced users without skills in web programming. There is a built-in document viewer that helps to select required source files without mistake. It is very important to include correct files into batch, especially if you combine all docs into one xHTML. 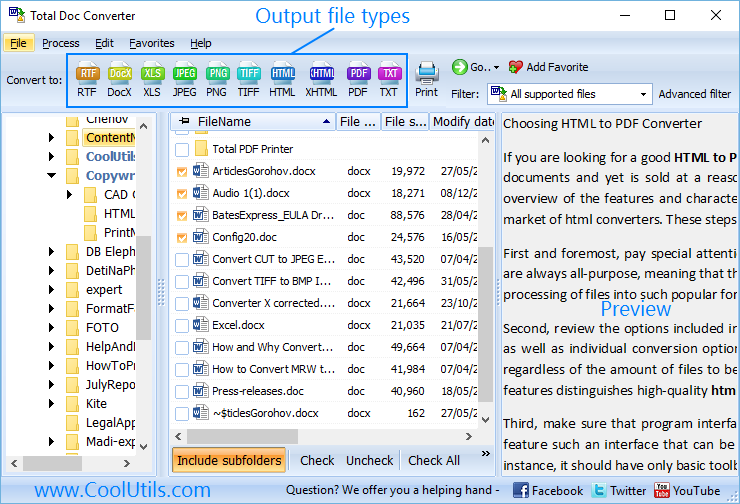 With this DocX converter you always see the file content with no need to open it. You can convert DocX files in batch from the command line, as Total Doc Converter supports this option too. You can get clear instructions about this in the 'Help' menu. Feel free to download a trial version of converter that is valid for 30 days! Convert Word to XHTML with Coolutils.